The exact details about the device's capabilities have not revealed yet. 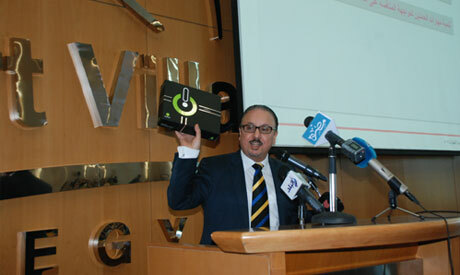 The state-owned electronics firm Katron, which will produce the Egyptian tablet, plans to manufacture 20 million units. The units worth LE2 billion will be manufactured over the next four years, Minister of Telecommunications and Information Techonology Atef Helmy said on Thursday during the forum to launch Egypt’s ICT Strategy (2013- 2017). Greater Cairo-based Katron was established in 1964. Helmy added that the first 10,000 smart units will be produced before the end of this year. we need the government and the factory to inform us if this tablet is really designed in Egypt ? , and how much is the perecentage of the local content ? . I am very much afraid that we just got a design from a chinese or indian company , get the components from them , and just assemble the tablet here , and claim it is the first Egypatian made tablet . if there is a plan for future improvment to design it here , and manufacture some parts , please announce it . How could they announce a product that will be available by the end of the year and not list at least its specifications? Unless there isn't any product yet! As always these endeavors by the public sector are always riddled by poor management. "Produced in Egypt"? this is misleading. This tablet was only assembled in Egypt from imported parts. It was not designed in Egypt nor was it MANUFACTURED in Egypt. Do not be so disappointing !!!!!!!!!!!!!!!! yea just flush LE 2Billion down the drain. Well done! You have to spend a little bit to make a lot. Starting up a tablet business is expensive. This is actually rather cheap and should the device take off and perform well they will likely make back far more. This is a great start for Egypt to start developing it's own technology.